Twitter Bootstrap vs Foundation Framework? Choose for 2015? • This is compatible even for the latest versions of major browsers and even for much older browsers. • Version 2.0 supports responsive web design and this means that the layout of web pages will be able to automatically adjust according to the characteristics of the device such as the tablet, desktop or mobile phone. • Version 3.0 features a mobile first design philosophy with the use of an ultra-responsive design by default. • Uses LESS stylesheets to implement various features of the program such as variables, functions, operators, selectors and mixins. Adjustments are possible to a limited extent and more profound changes are done via LESS declarations. • This is an open source program and web developers using Bootstrap are encouraged to participate and contribute to the improvement of the platform. • Uses the Sass stylesheet language to allow the use of variables, functions, operators, selectors and mixins. • Comes in a standard 940 pixel-wide, flexible grid layout. It is fully responsive to be used in different devices such as mobile phones, tablets and PCs. • Although this program is responsive and fully customizable, it has incomplete support for HTML5 and CSS 3. 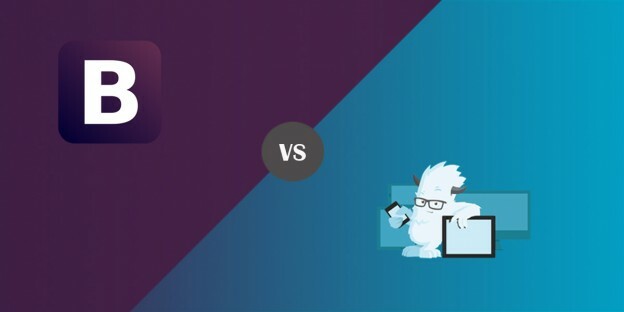 If you wish to have support for earlier browsers such as Internet Explorer 8 then Bootstrap is for you but if you wish to focus on designing for mobile devices the Foundation is your best bet. If you wish mind-boggling sites then you may choose any of the two frameworks since you can’t really go wrong with either one.